We here at Casino Brango have worked long and hard with our favorite Real Time Gaming to bring you a better and easier way to enjoy our casino games. As a product of our effort, we are very proud to announce that Casino Brango will now also be available in the form of an Android application. In order to install our app, you will need to grant it an exception by allowing "Unknown Sources" when prompted during installation. This is nothing to be alarmed of. 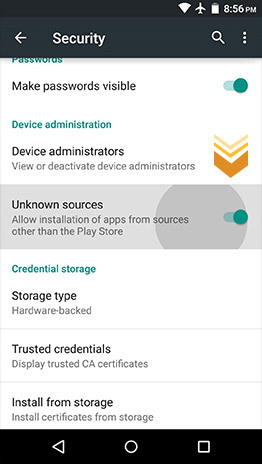 As our application is not registered on Google Play, your phone will recognize it as an "Unknown Source" app. We guarantee that the application is malware-free. Once you are done installing Casino Brango, we strongly suggest blocking “Unknown Sources” again in your settings menu.